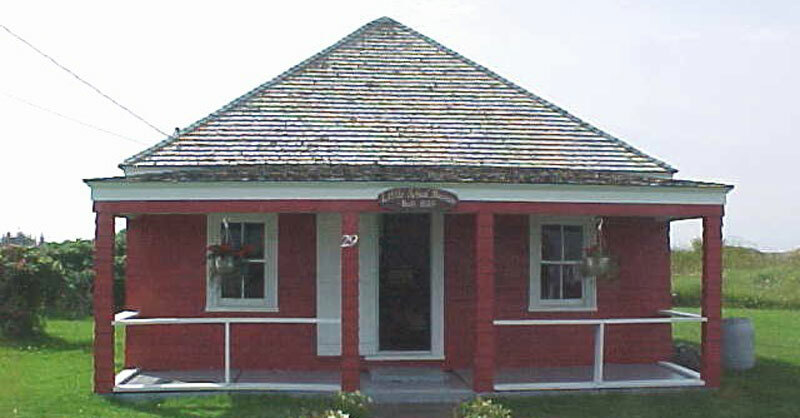 The Little School Museum in the Town of Lockeport came into being as the Centennial Project of the Lockeport Garden Club. The club saw an opportunity to make the former school an historic site so that the children of the area might learn more of their past. Through donations from former Lockeport students, the school was purchased by the Garden Club in 1967. Club members undertook to care for the gardens, the town agreed to mow the lawns and the Ragged Island IODE donated a Nova Scotian flag to be flown during open hours. The Nova Scotia Museum helps with the cost of operation. The museum is open every day, from Canada Day to Labour Day with special visits arranged in the Fall for children from the Elementary School. The reports they write on these visits are kept as one of the treasures of the museum. The little house was used as a school from 1845 to about 1880 when it was succeeded by a recently demolished elementary school whose bell was marked with that date. The little school then became a dwelling and a front porch and back room were added. Dates The museum is open every day, from Canada Day to Labour Day with special visits arranged in the Fall for children from the Elementary School.